Home Linux OS SELinux What is SELinux and how does it work & its configuration? What is SELinux and how does it work & its configuration? SELinux has three modes.How to set SELinux ?In this Article we're only going to touch on SELinux contexts and labels. SELinux policies contain various rules that allow interaction between different contexts. Contexts may be ports, processes, files, directories, and so on. Instead of getting overwhelmed with the technical concepts of SELinux, we'll instead look at the practical side of using SELinux. 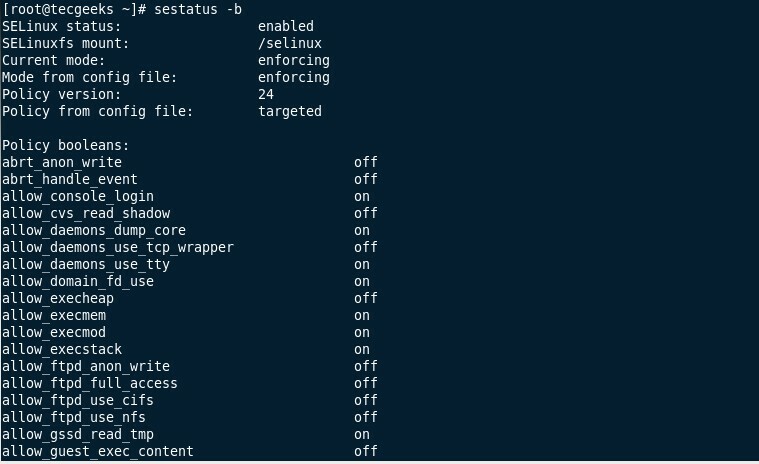 commands or steps to check the status of SELinux. There are three way you can check the status of SELinux. To get elaborated info on difference status of SELinux on different services use -b option. using this command you can check the status of all services or daemon if SELinux is on or off for that service. Please comment Below if you have any query or suggestion regarding this post.